Galpin Volkswagen is here to help with any tire service your vehicle may need, including tire repair, tire replacement, tire rotation and balancing. 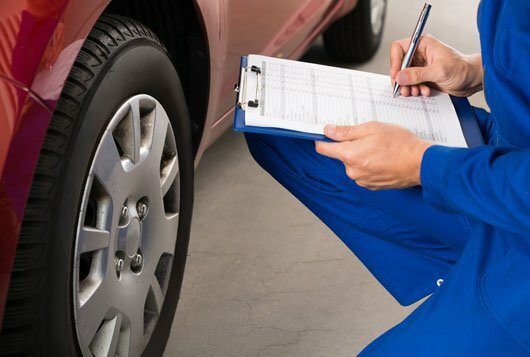 Our trained service technicians can diagnose any issues with your tires and recommend what type of service is needed. 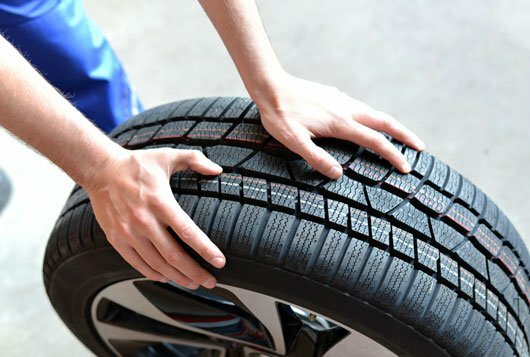 Your car’s tires are an important safety feature and are responsible for its stopping capability, wet-weather traction, ride quality and more. If your tires are heavily worn and in need of replacement, we can recommend the right tire for your vehicle, driving style and budget. Our service center can perform tire rotations and balancing while you wait. We can also perform a wheel alignment if needed to help keep your car’s tires from wearing unevenly or prematurely. What pressure should I inflate my tires to? The proper pressure for your car’s tires can be found on a placard or sticker placed on the driver’s side doorjamb. It is important for your safety to keep the tires inflated properly. You can find the recommended tire rotation schedule in your car’s owner’s manual, but it is usually recommended to rotate your tires at every oil change. If your tires are wearing unevenly, have low tread, have bald spots or are cracking or bulging, it is time to replace your tires. We can let you know if your tires need replacement and help you find the right tires for your vehicle.